Today we celebrate the first advent in Germany. For people who don't know this tradition, Advents are the four Sundays before Christmas. Usually people have a wreath decorated with four candles. Each Sunday you would light one candle, so on the fourth advent they are all lit. You often meet in the afternoon for cookies and other goodies or go together to the Christmas market. I really like this time of year, and since last year it is even more special to me since I got married at this time of the year. We even took some of our wedding pictures on the Christmas market. I just got some new cookie cutters from the market. I can usually never walk by these stands without getting at least one. Especially the deer looked so adorable, like little Bambis. I chose to make gingerbread cookies to try them out. They are really easy to make. The dough was a breeze to roll out. They taste really good and still have a soft center after storing them for a while. You can decorate them with royal icing or just leave them plane. For the dough first bring the orange juice, brown sugar, honey and sirup to boil. Stir until the sugar is dissolved. Take of the stove and stir in the butter with a wooden spoon. Also add the baking soda and salt. Put the mixture into the bowl of a stand-mixer and wait until lukewarm. Sieve the flour and spices over the mixture and knead together using the dough hook. Wrap the dough in cellophane and put in the fridge overnight. Roll out the dough on a lightly floured surface about 5 mm thick. 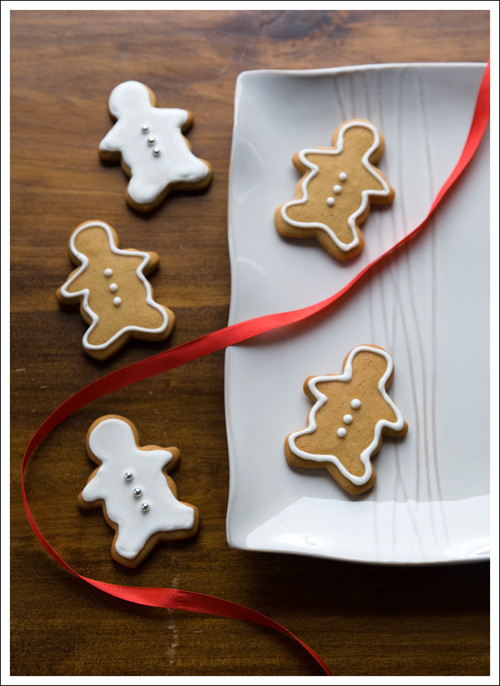 Using your cookie cutter cut out your cookie shapes and put on a baking sheet lined with parchment paper. Let cool for about 30 minutes. Preheat the oven to 200°C (400°F). Bake the cookies for about 8-10 minutes. For the royal icing use a hand mixer and mix together the egg white and powder sugar. Add some lemon juice until you have the desired consistency. Fill the icing in a pastry bag or paper cone and cut of the tip. 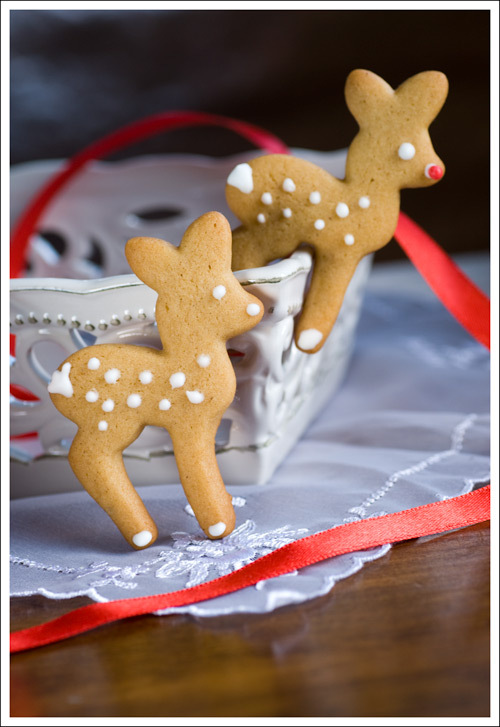 Decorate the cookies with the icing and some sugar pearls. Let dry for at least an hour, then store in a cookie tin lined with wax paper. You can store them for several weeks at a cool and dry place.